AIAA has been very happy to undertake Work for the Dole 2003 which commenced in February 2003 at Byron Youth Activity Centre. The project has now completed its six month period in August but continues to provide training and work experience for some of the participants who have chosen to stay on with AIAA until the end of the year. This year the project has continued to be offered on Tuesdays and Wednesdays of every week and has for the first time incorporated a graphic and web design course as well as a wide range of other training and work experience tasks related to the activities of AIAA. The AIAA Work for the Dole Team have supported various AIAA projects during the last three years such as the AIAA website, Inspirasi On-line Magazine, Australia Indonesia Poetry Exchange and Artist-in-Residence Projects. The WFD team have also supported activities of the AIAA NSW North Coast Branch such as Suara Indonesia Radio Show, Indonesian Musician-in-Residence projects, performances, classes, school visits and other local Indonesian cultural activities. This year local activities have also included support for the Byron Loves Bali Group which has raised over $12,000 in aid for Bali and has now proposed a Sister-town relationship between Byron Bay and Ubud in Bali. The WFD project has been divided into: Website Design, Inspirasi Magazine, Suara Indonesia Radio Show and computer work on Tuesdays; Cultural projects, Fundraising and Promotion on Wednesdays. Other work/skill development areas are – community development, office skills and administration, written and verbal communication. AIAA considers that the project has so far been successful both in terms of providing worthwhile training and work experience to the participants and through the wonderful support provided to the organisation. One of the WFD participants from 2002 Linda Ogonowski has chosen to rejoin the team and continue into a second 6 month period. She has now continued on as an AIAA volunteer since August.Two participants Daniel (2001) and Paul (2002) have become permanent members of the AIAA team. Daniel is continuing to work on the project and this year is supervising production of Inspirasi Magazine, and Paul is continuing on as a main presenter with Suara Indonesia Radio Team, which now goes to air every Wednesday at 2pm on BayFM 99.9. BETC staff have provided on-going support, information and guidance to the AIAA Work for the Dole supervisors. The BETC staff are a great team to work with and have also linked their Work for the Dole project to ours by providing computer maintenance for the AIAA computers. Daniel Summerfield - During the year I, as a one of the supervisors of the AIAA Work for the dole project have been supervising the as they write articles for the AIAA Inspirasi magazine which comes out quarterly. Making sure that each page is consistent with the design of the other pages. Also as a part of the project I supervise the students as they come up with news articles or announcements that will be read on the Suara Indonesia Radio Show. Participants have also been transcribing some of the interviews done on radio for use in the Inspirasi Magazine and vice versa. Participants are also offered the opportunity to sit in on a radio show or even learn how to become a presenter on the show if they wish. 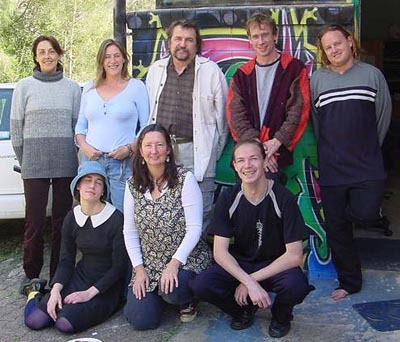 The AIAA NSW Nth Coast Branch undertook the Efiq Zulfiqar Musician-in-Residence Project from Sept 2002 to February 2003. Work for the Dole participant Janie Cullen was involved with preparing Certificates of Appreciation, Evaluation Forms and thank you letters to send out to participants in this project, such as schools, music groups and recording musicians. The project invited Indonesian musician Efiq Zulfiqar visiting Australia to teach Indonesian music in the North Coast and Southern Queensland regions. Wahyu Roche visited the North Coast as Musician-in-Residence in 2002 and has returned this year to undetake his next residency here during June 2003. The Work For the Dole participants helped to promote this project. Vincenzo designed a leaflet promoting Wahyu’s drumming class, Linda distributed the posters and rang the students to let them know about the project. The project involved Indonesian musician Wahyu Roche visiting the North Coast to teach Indonesian drumming, singing, bamboo flute, gamelan orchestra and kecapi (zither). AIAA Fundraising Garage Sale: During the year the Work For the Dole Team supported the AIAA Local Branch by helping to organize fund raising garage sales held at Suffolk Park. Pix and Luke helped design a poster which Linda, Jani and Luke distributed around Byron Bay. Linda made garage sale signs and priced items for sale while Jani helped with setting up, sales and packing up on the day. Paul helped with collecting items for sale around the area and delivering to the venue. The Work for the Dole Team put together a promotion to let schools know about AIAA activities such as the Fundraising Garage Sale, Byron Loves Bali Mask Dance performance, visiting musician Wahyu Roche and Balinese dancer Kerensa Dewantoro. Vincenzo designed a leaflet, while Jani, Luke and Pix helped prepare the mailout to 95 local schools. As a result of this promotion, three dance drama performances and two Balinese dance workshops were held involving Southern Cross School, Ballina, Emmanuel Anglican College, Ballina, Lennox Heads PS and Crabbes Creek PS. Bookings for Wahyu to provide Indonesian music workshops at Brunswick Heads and Evans River were also received. While Daniel is the main supervisor of Radio work, I have continued to supervise work on the updating of the Catalogue of Indonesian Cds in the BayFm library. This task has mainly been undertaken by Wfd participant Simon Toyer and has involved searching the internet for all CD reviews, listening to the music and preparing reviews of all new CDs as well as collating all the information and typing up translations of song titles. The Wfd team have had the opportunity to participate in staff and management meetings, involving developing and contributing to projects, minute-taking etc. During the project participants also have the opportunity to develop skills in written and verbal communication through letter writing, emails and telephone contact. Other administrative tasks included filing, database entry and answering enquiries. 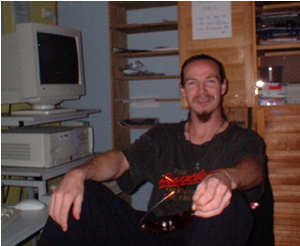 Pix was able to utilize his skills in technical areas such as computer maintenance and networks, as well as graphic design, often helping other participants with learning new skills or solving problems. Simon was very helpful and efficient undertaking a large filing job at the beginning of the project. In general participants are encouraged to work together as a team, helping each other, teaching and sharing new skill areas with newly arrived participants. Judy creates an easy and open space to work in, where I enjoy helping on this project. She is very good at tailoring each project to the individual members of the group, making a more efficient workspace where we can enjoy our activities. Gert is a great teacher, with extensive knowledge of his subject feeding his ability to teach in a manner where we learn quickly and fully. Through this learning I have broken down my resistance to using and learning about computer technology, in fact I really enjoy learning the software offered. We have created an enthusiastic and willing environment through a great group of fellow volunteers. I enjoy being involved in the AIAA project as well as having access to information I otherwise wouldn’t come across. 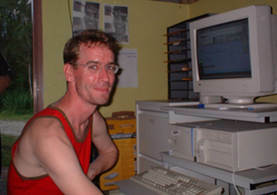 "Having participated in the AIAA Work for the Dole program for almost over a year, I can honestly proclaim that I have been exposed to vast amounts of information: all of which have been crucial in developing my computer skills; comprising uploading with SmartFTP, web design and editing using HTML, Dreamweaver and Fireworks FX; extensive internet research, Access Database entry, Word Processing, email correspondence, customer service skills (making phone calls), group orientation and communication skills. Judy Shelley and Gert Gast are both knowledgeable, attentive, patient, passionate (hence inspiring) and highly qualified professionals who have merged successfully their prospective differing fields of Web Design, and Ethnic Arts Organization; giving people like myself the dual prospect of applying valuable design skills to a very important multicultural cause. As an artist it is exciting to be involved in supporting Indonesian and local artists and the proliferation of art in Australia because it is a country whose extensive arts community continues to suffer from lack of recognition and financial aid from a government who feels more secure interacting with weaponry than with disparate types of people; and AIAA promotes these nuances of difference. Ultimately, the people here are a wonderful group to work with, creating a calm, often amusing, stimulating environment and I've had the privilege to associate on occasions with fantastic Indonesian artists/musicians/performers whose work has been instrumental in restoring my deep passion for the arts. I often feel challenged in this line of work because it is hard, and there are many aspects which test my abilities hence confidence, but the support of Judy and Gert, the time, the energy and love with which they teach fuels my curiosity and, conclusively, keeps me here. Thanks guys, I appreciate that I have been able to participate and continue so long with such an invaluable project. Judy’s program is great, though I do think that training should extend to the use of programs such as PhotoShop, Illustrator and maybe a video-edit program such as Premier. Also Audio is increasingly becoming a major part of the Internet scene (i.e. some Audio Processing programs). The most exciting project I’ve ever had the privilege to be involved with. I have already received enough training to keep me busy for the next six months. "Once I got over the irony that the Howard Government was conscripting me to promote Australian Indonesian relations, I realised that this was a project that was not only worth supporting but also one that I could increase my skill-base by participating in. It is a privilege to be shown around programs like Dreamweaver and Fireworks by an experienced professional like Gert. Judy and Daniel are supportive and understanding. The AIAA website itself is broad and topical. I have been restructuring the Music Shop page, creating separate pages for each product and making it possible to audition tracks from each CD for sale. Plans are in motion to place streamed audio versions of the Bay F.M./ A.I.A.A. radio show on the website." "Okay, what I think of the course. I'm loving this course. The supervisors are patient and learned (hehe). Gert knows more than there is to know about website design, and Judy of course is an expert on Indonesian arts and culture. Seriously, though, everyone on the team IS dedicated, and each have their own unique skills and talents to contribute. The only downside to this course is the fact that the class is only half as big as it should be. Of course this means more individual teaching/learning, but many hands make for light work, y'know? So this course is great, it's excellent, the people are great, and I'd like to stay on after it's finished to see and help teach the next group of participants. All the best, Pix. P.S. Judy, your dedication and thoroughness inspire me to reach new heights." The AIAA Work for the Dole project has allowed me to gain a greater insight into Indonesian Art and Culture especially the country’s music. The equipment and technology available to the project is excellent and the group of volunteers have been helpful and communicative.